15075 Jay Christopher Howk, University of Notre Dame The CGM of Massive Galaxies: Where Cold Gas Goes to Die? 15196 David V. Bowen, Princeton University How Do Inflows and Outflows from Galaxies Create Their Inner Circumgalactic Medium? M dwarfs - at least, the subset of M dwarfs known as flare stars - are renowned for possessing extremely active chromospheres and coronae. Their discovery as highly variable objects happened largely by chance. Willem Luyten had noticed in 1924 that certain M dwarfs showed spectroscopic variability, with the occasional appearance of emission lines, while in the early 1940s van Maanen commented that two late-type dwarfs, Gl 412B (WX UMa) and Gl 285 (YZ CMi), had brightened by over a magnitude on a handful of parallax plates. The crucial observations came in 1948, when E.F Carpenter noticed that the fainter component of a wide binary system had brightened by more than 3 magnitudes in a matter of minutes. In the succeeding 50 years, these stars have been subjected to extensive observations, particularly at optical and X-ray wavelengths, and the underlying physical processes are relatively well understood. 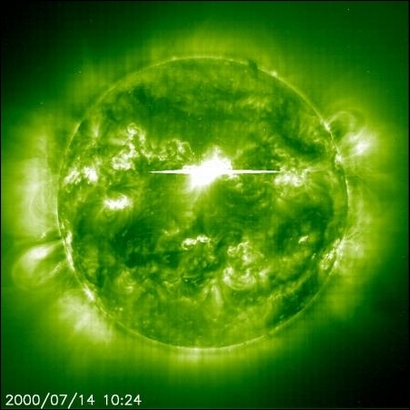 However, most attention has focused on the more active flare stars, and we still have a relatively uncertain grasp on the flare frequency among less active stars. This issue has acquired increased importance with the realisation that somewhere between 10 and 50% of M dwarfs host planetary systems. As the most populous stars in the Galaxy, this also makes M dwarfs the premier planet hosts. The habitable zones in those systems lie much closer to the parent star, and planets are correspondingly vulnerable to detrimental effects from enhanced UV radiation, particularly short-wavelength UV-C. The upcoming Transiting Exoplanet Survey Satellite (TESS), scheduled for launch in April 2018, is expected to reveal numerous additional exoplanet hosts among the SUn's nearest neighbours. This proposal builds on previos HST programs, notably MUSCLES, by using the Cosmic Origins Spectrograph and the Space Telescope Imaging Spectrograph to obtain UV and optical spectra (1150-5700 Angstroms) of nearby M dwarfs, including a range of spectral types as well as a subset of known exoplanet hosts. During the 1980s, one of the techniques used to search for brown dwarfs was to obtain near-infrared photometry of white dwarf stars, searching for the infrared excess due to these cool companions. In 1988, Ben Zuckerman and Eric Becklin detected just this kind of excess around the DA white dwarfs, G29-38. However, follow-up observations showed that the excess peaked at longer wavelengths than would be expected for a white dwarf; rather, G 29-38 is surrounded by a dusty disk. 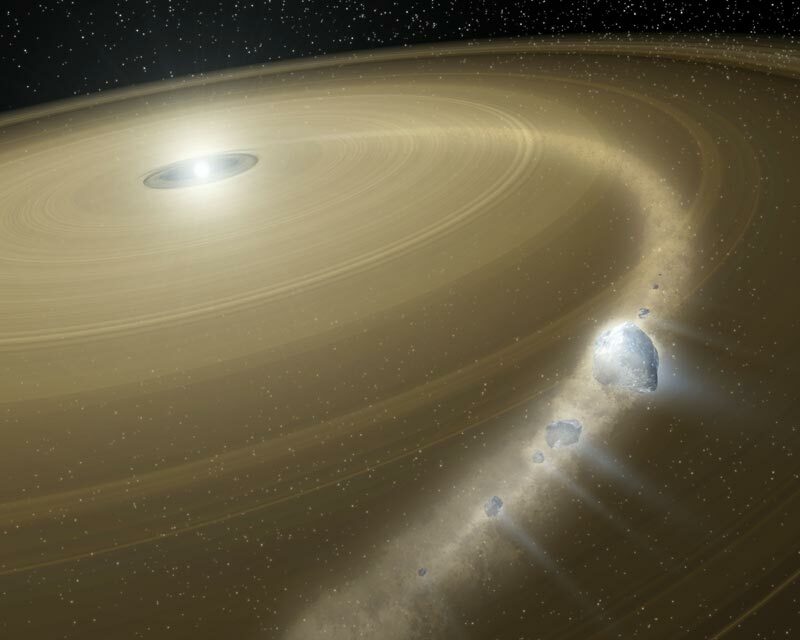 Given the orbital lifetimes, those dust particles must be regularly replenished, presumably from rocky remnants of a solar system. G 29-38 stood as a lone prototype for almost 2 decades until a handful of other dusty white dwarfs were identified from Spitzer observations. In subsequent years, a significant number of DA white dwarfs have been found to exhibit narrow metallic absorption lines in their spectra. Those lines are generally attributed to "pollution" of the white dwarf atmospheres. Given that the diffusion time for metals within the atmospheres is short (tens to hundreds of years), the only reasonable means of maintaining such lines in ~20% of the DA population is to envisage continuous accretion from a surrounding debris disk. The Cosmic Origins Spectrograph (COS) is an ideal instrument for probing the abundance of trace elements in white dwarfs atmospheres: more than 70 systems have been observed, with detection rates running at around 50%. The present program is using COS to refine the statistics for such systems, focusing primarily on higher-mass whiite dwarfs that are likely to be the remnants of internediate-mass main-sequence stars. The cosmic distance scale and dark energy are two key issues in modern astrophysics, and HST has played a vital role in probing both. 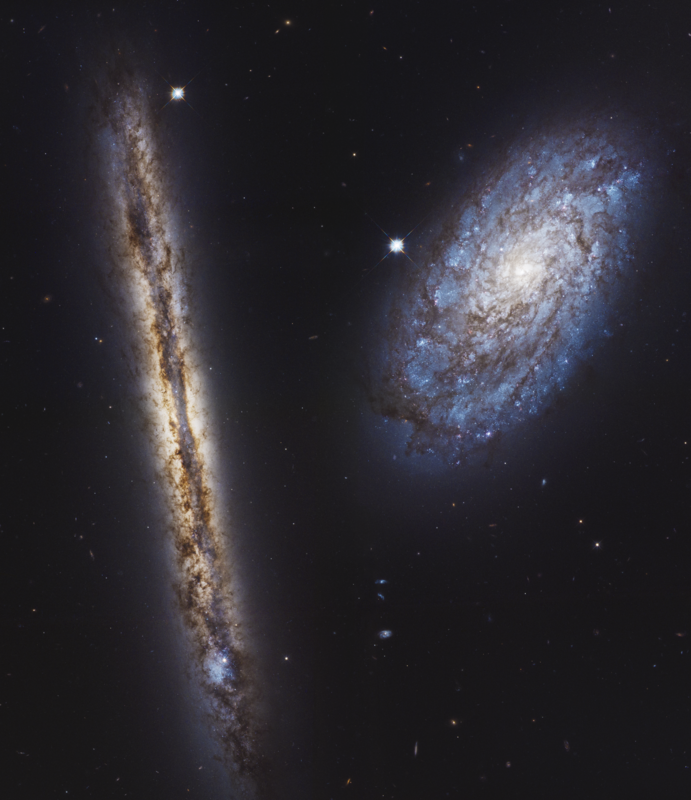 On the one hand, HST has been involved in cosmic distance measurements since its inception, largely through the H0 Key Project, which used WFPC2 to identify and photometer Cepheids in 31 spiral galaxies at distances from 60 to 400 Mpc. On the other, HST is the prime instrument for investigating cosmic acceleration by searching for and following Type Ia supernovae at moderate and high redshift. These two cosmological parameters are directly related, and recent years have seen renewed interest in improving the accuracy of H0 with the realization that such measurements, when coupled with the improved constraints from the Cosmic Microwave Background, provide important constraints on cosmic acceleration and the nature of Dark Energy. Previous HST programs have focused on identifying and measuring light curves for cepheids in external galaxies (eg GO 10802 , GO 11570 ) or quantifying the effects of variations in intrinsic stellar parameters, such as metallicity (eg GO 10918 , GO 11297 ). The present program is part of a suite of HST programs that newly-developed observing techniques to focus on nearby Cepheids that form the foundation for the whole distance ladder. Recent programs have used drift-scanning with Hubble to derive accurate astrometry, hence trigonometric parallaxes and reliable distances, and accurate photometry, hence flux measurements, for Galactic Cepheids. This is an obviously area where Gaia will have major impact, adding additional high precision data for numerous stars. 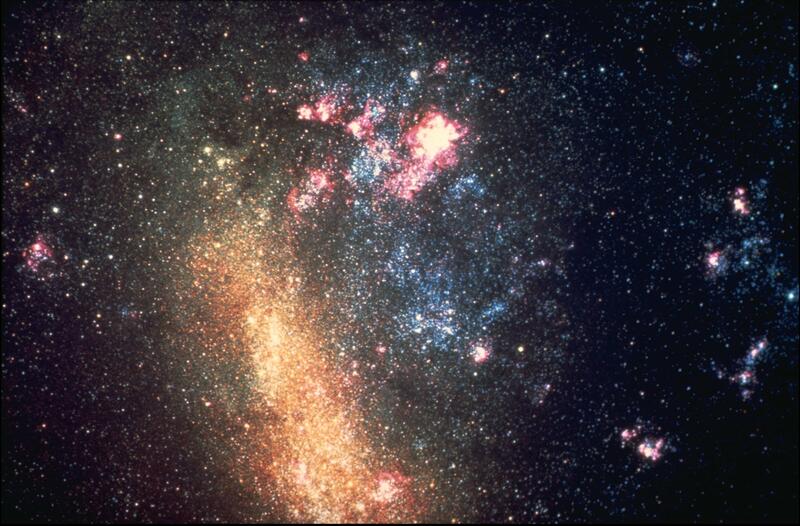 The Magellanic Clouds and M31 mark the next steps in the distance scale. Gaia is less effective in direct measurements even for the LMC & SMC Cepheids, but the datasets can be tied together given a consistent photometric system. The present program aims to provide that link by using Hubble to obtain accurate photometry for Cepheids in those systems. The DASH technique will be used to step Hubble across multiple fields during each orbit, using gyro control for pointing, imaging with WFC3 in the F555W and F814W filters with UVIS and F160W filter in the near-infrared. The Kuiper Belt consists of icy planetoids that orbit the Sun within a broad band stretching from Neptune's orbit (~30 AU) to distance of ~50 AU from the Sun. 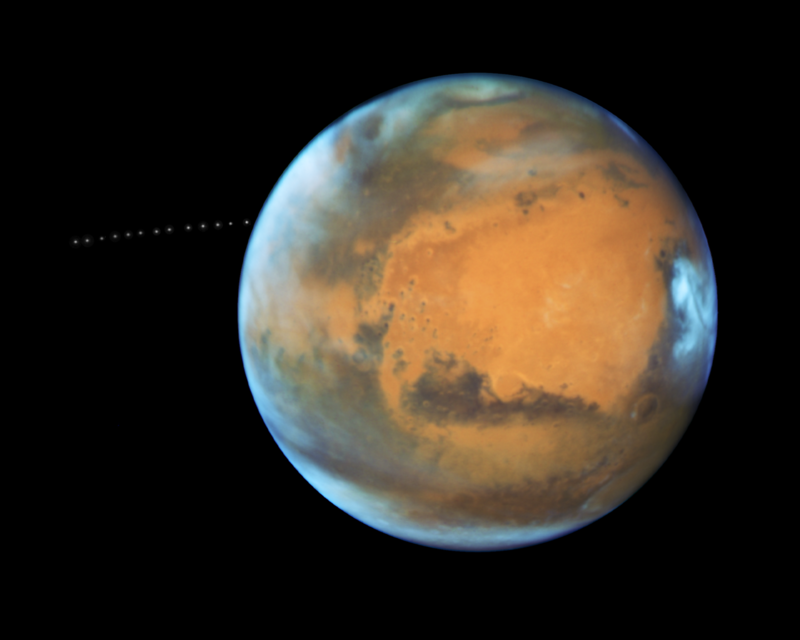 Over 500 KBOs (or Transneptunian Objects, TNOs) are currently known out of a population of perhaps 70,000 objects with diameters exceeding 100 km. Approximately 2% of the known KBOs are binary; indeed, 11 of the 15 largest systems have detected satellites. This is a surprisingly high fraction, given the difficulties involved in forming such systems and the relative ease with which they can be disrupted. It remains unclear whether these systems formed from single KBOs (through collisions or 3-body interactions) as the Kuiper Belt and the Solar System have evolved, or whether they represent the final tail of an initial (much larger) population of primordial binaries. Interestingly, some observations suggest that the largest KBOs may be higher density, implying larger masses and a greater ability to retain satellites, potentially accounting for the higher satellite fraction. 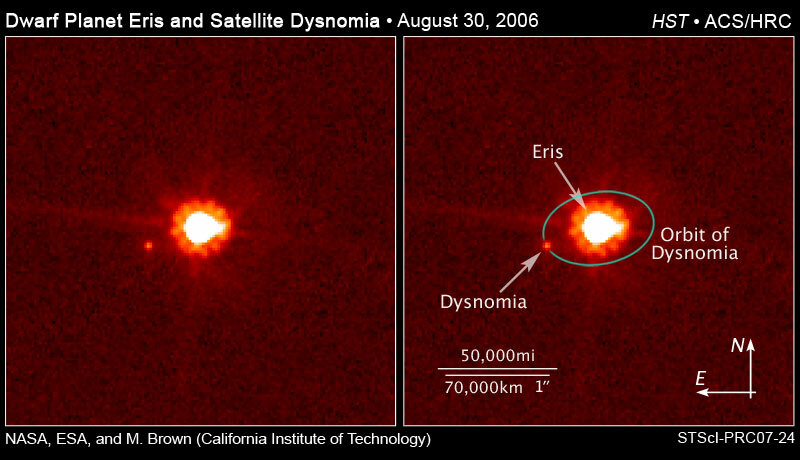 The present program focuses on two of the largest TNOs - makemake is the seond brightest, and OR10 the third largest; both are more than 1000 km in diameter, and both have satellite moons. Wide-Field Camera 3 will be used to monitor the relative positions, enabling derivation of their orbital properties and hence physical characteristics. These pages are produced and updated on a best effort basis. Consequently, there may be periods when significant lags develop. We apologise in advance for any inconvenience to the reader.